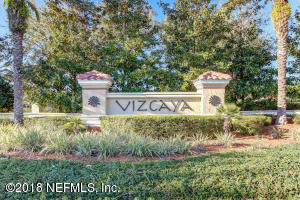 Beautiful End-Unit Townhome in Gated Community of Vizcaya! This 3 bedroom, 2.5 bathroom townhome is move-in ready! Offering a first floor master suite with generous sized walk-in closet, walk-in shower and walk-in soaker tub. Kitchen offers stainless steel appliances with breakfast bar and granite countertops! First floor laundry (washer and dryer are only 6 month old!) and half bath. 2nd floor offers two spare bedrooms, guest bath, and 2 loft/flex spaces. So much to see! Make an appointment today! Community features communal pool and fitness center! This home has been on the market since Jun 20,2018. Courtesy of ELITE REALTY GROUP.